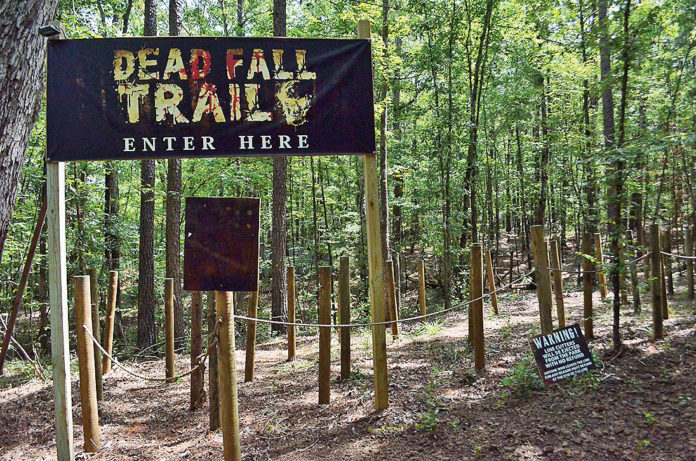 The trail from the first year will be back this season! It was down last year due to flooding. Members of the Natchitoches Times Staff took a sneak peak of Dark Woods to see what’s new for the upcoming scare season. There will be five new set pieces, new street performers and new monsters. The Dark Carnival from last year will be back with new additions, along with the trail from the first year, also with new additions. Dark Woods owner Jason Summerlin said he was excited for the new season. “My favorite part of the season is hearing that first round of screams,” said Summerlin. “We’re not just about scaring people here. We just want to provide entertainment.” The new season will open Sept. 22. For more information, visit darkwoodshaunt.com.